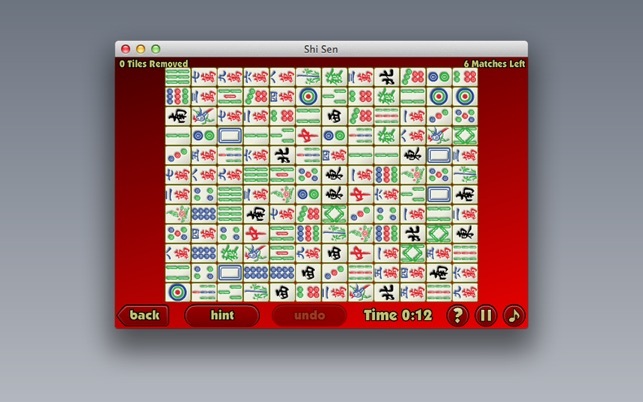 Shi Sen is a unique tile matching game played with Mah Jongg tiles. 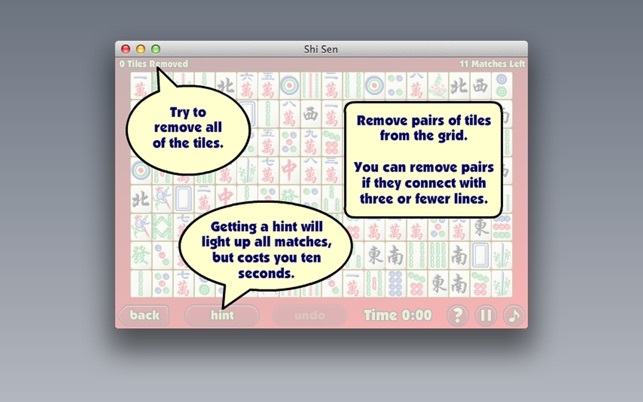 You must eliminate tiles by finding matches, but you can only remove matching tiles if they can connect with three or fewer lines without crossing over another tile. 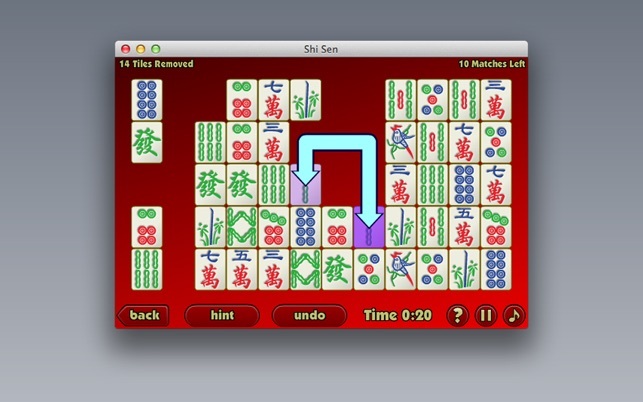 Shi Sen has a unique tile-removal strategy, but it is very easy to learn. 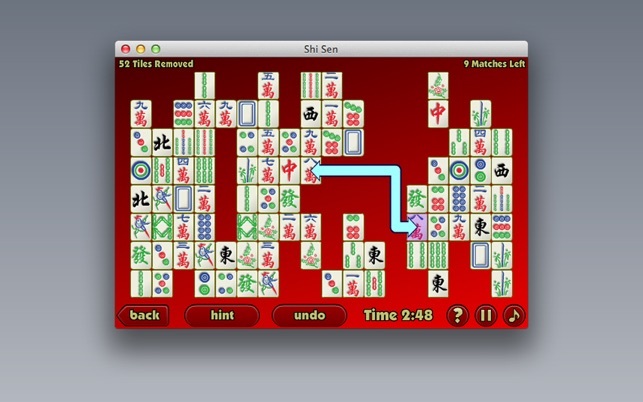 And once you have learned it, it will be hard to stop playing. 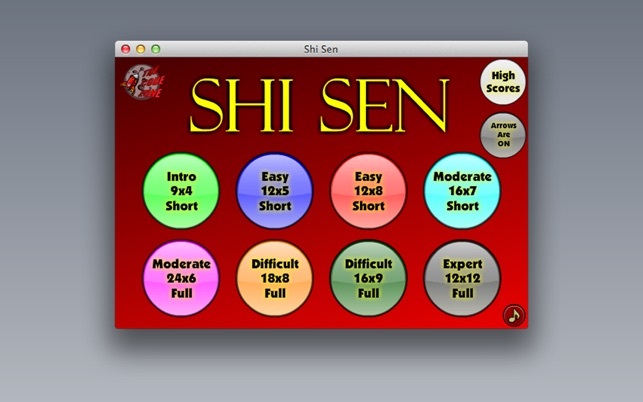 Eight different layouts for different levels of difficulty and internet-shared high score tables makes this game a great value.